eKartingNews.com has learned from Superkarts! 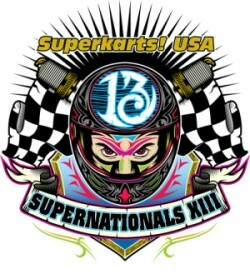 USA that Formula One drivers Sebastien Buemi and Jaime Alguersuari are confirmed entries for the upcoming SKUSA SuperNationals XIII at the Rio All-Suites Hotel and Casino in Las Vegas - November 18-22. The Scuderia Toro Rosso drivers will compete in the SuperPro (KZ2) division, representing Italian kart manufacturer Intrepid. 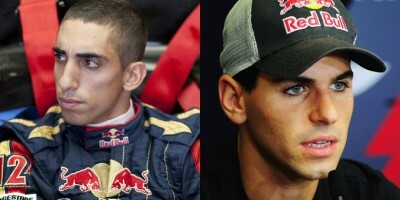 Buemi hails from Switzerland and is currently completing his first season in Formula One. After earning numerous Swiss Karting titles, Buemi’s highest achievement in karting came via European Junior Intercontinental A Championship in 2002 aboard a CRG. Two years later, the soon-to-be 21-year old (October 31) began his progression up the formula car ranks in Europe before landing the test/reserve driving position for Red Bull in 2008. Alguersuari recently made a return to karting having competed at the KZ1 World Cup in Sarno, Italy during an off-weekend from Formula One. The 19-year old competed in the upper level of European karting for three years - two as a Junior before becoming an official member of the Intrepid factory team competing once in the Senior ranks. After completing an agreement to become the latest region for the Superkarts! USA organization, the SKUSA Hawaii series is set to kick off the first of seven events for the Maui Kart Challenge this weekend at the Maui Motorsports Park - Puunene Kart Track. As the first SKUSA regional program outside the continental 48 states, the Maui Kart Challenge has spent the past month preparing for the opening event on June 7, to be held under the lights, in hopes of building the karting community on the Hawaiian Islands. The Maui GoKart Association will be behind the running of the Maui Kart Challenge. The organization is currently in a rebuilding stage as the sport of karting has come and gone on the island over the past 20 years. 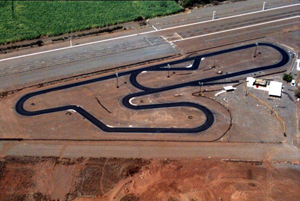 The Puuene Kart Track – where all seven races will be held this season – is a half-mile course with two long straights, boasting nine turns equipped with CIK-style curbing and a full lighting system for night racing. The Maui Kart Challenge will offer the basic SKUSA class structure for their shifters with S1, G1, S3, S4, S5 Jr, and K1 (for the 80cc Shifters), and then TaG Juniors, Seniors and Masters for the TaG racers. Local option classes will be run as well during the weekend. Practice will begin at 8:00 am and run all day to prepare for qualifying at 5:00 pm before getting into the racing action. A new website has been produced - http://www.mauikartingclub.com - and will be updated throughout the year with all the Maui Kart Challenge information. For more details regarding the Maui Kart Challenge, contact Art Gumpfer at 808-216-3514 or the karting office at 808-873-8363. After nearly two years in the making, the stars have aligned and the first installment of the new Superkarts! USA Central States Challenge (SCSC) will take place this coming weekend at the I-55 Speedway karting circuit in Pevely, Missouri, set on the calendar for June 7-8. Previously known as the Central States Super Series, the program created by PG Racing’s Greg Yocom was recently able to join forces with the SKUSA organization to help build a stronger regional presence in the states of Illinois, Iowa, and Missouri. To help make the debut a memorable one, Yocom and his SCSC staff are going at the event 110%. Kicking off the series, SKUSA President Tom Kutscher will be on-hand to oversee the first event, taking the opportunity to introduce himself to all of the new SKUSA racers. In addition to Kutscher, one of the lead technicians of SwedeTech Racing Engines will be on-site to provide engine tuning assistance throughout the weekend. Also on the docket for the opening round will be a Saturday night BBQ and special prizes handed out throughout the weekend. 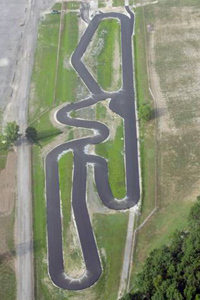 The I-55 Speedway karting circuit is located in Pevely, MO and is a nine-turn, 0.55-mile circuit with an 800 ft. long front stretch. “Thunder Valley” as it’s known, features hairpin turns, a banked Monza and a tight Esses section that creates a challenge to each driver. The SKUSA Central States Challenge will be offering a variety of classes, the core based on the SKUSA ProKart Challenge South program: S1, G1, G2, S3 Heavy, S4 Light, S4 Heavy, TaG Senior, TaG Masters and the S5 Junior division. Local option classes include TaG Junior, TaG Cadet, Kid Karts and 2&4 cycle classes. As with most SKUSA regions, an outstanding prize package will be offered at the end of the year, including an all expense paid trip to compete at the Granja Viana 500 in Sao Paulo, Brazil, racing alongside Formula 1 and IRL superstars, courtesy of MG Tires Brazil. Trip includes airfare, hotel, transportation, and all race expenses – a $10,000 value. All Central States Challenge racers will be eligible if they are 18 or over, have competed in all six of the series events, and are present at the series banquet for the drawing. Entries to the SuperNationals, class championship trophies, championship jackets and more will be awarded at the year-end award ceremonies. FONTANA, CA (March 20, 2008) – The 2008 season is expected to be a very exciting one for the growing Superkarts! USA organization, which will take a number of major steps forward in re-releasing the brand onto the American karting community. The new ownership of Tom and Patti Kutscher have been busy in the off-season laying out plans to expand their program, using their ultra-successful ProKart Challenge (PKC) model to pull the cover off of three new regional series in ’08. As the flagship series under the SKUSA banner, the ProKart Challenge will kick off its new season on the March 28-29 weekend at the CalSpeed karting facility, which is located just outside the track walls of Auto Club Speedway (formerly California Speedway) in Fontana, California. Once again delivering the best in shifterkart and TaG sprint racing, the PKC has a handful of new announcements to make as well, including a brand new website and minimum age adjustments in G1 and TaG Masters. If one were polled to pick a single country that exemplified a passion for motorsport, they’d be hard pressed not to choose Brazil. The country has produced many of the greatest racing drivers of all time, including Emerson Fittipaldi, Nelson Piquet, and the late Ayrton Senna. The interest Brazilians have for motor racing is rivaled only by their love of futbol and that fervor for competition is echoed in the very soul of the national culture. It’s something every fan of racing should witness at least once, and for the Superkarts! USA / MG Tires national race team, that opportunity came this past November at the annual Granja Viana endurance race in São Paulo, Brazil. SKUSA’s man at the track, Chris Ortenburger was on scene to capture the action and flavor of the event. Click here to experience the spectacle with Chris as your guide.